Hey guys! It's TGIF, wohooo! I feel better today, not only because it's Friday but because I woke up feeling more energized after a 3-km walk last night. I really want to integrate more exercise into my daily routine so that I can get rid off all the Holiday weight I accumulated last month/year. Besides exercising and being more active, eating healthy is also important. For me, it's really the battle in the kitchen that's hard to overcome. I just love food! 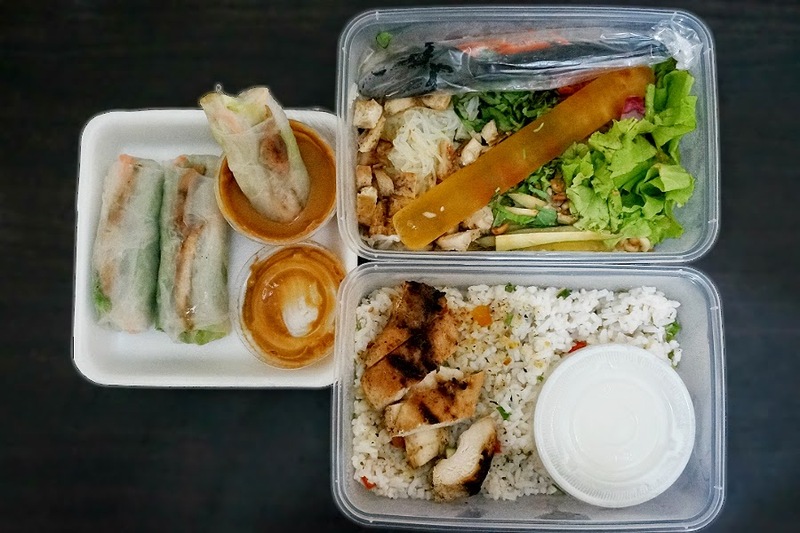 Fresh Vietnamese Chicken Rolls (Php90/3 rolls) - a grilled herbed chicken and a variety of vegetables wrapped in soft rice paper. 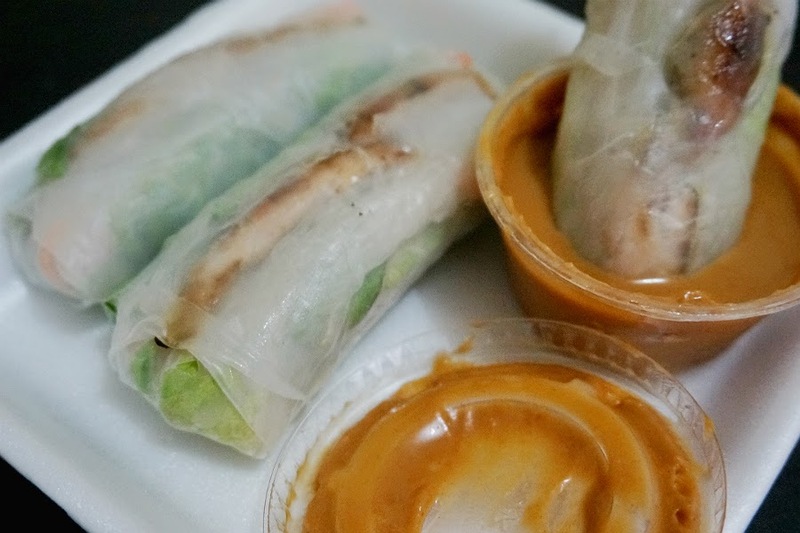 This one came with a deliciously divine spicy peanut sauce. 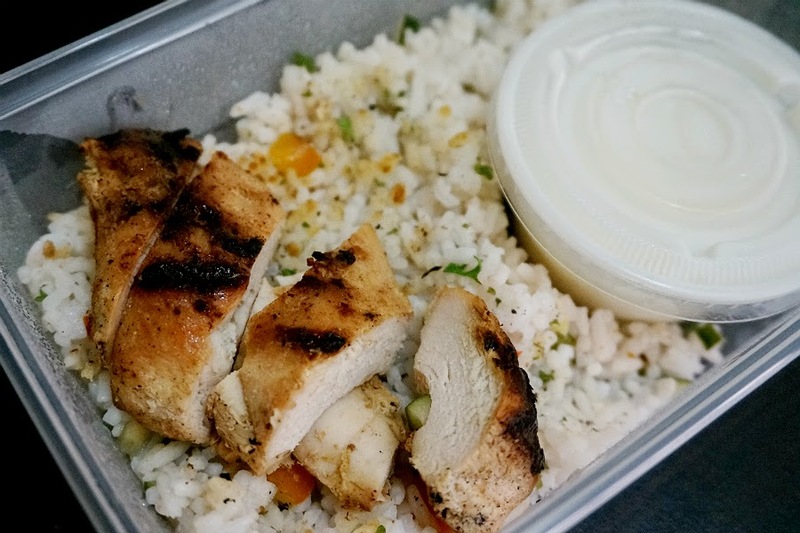 Chicken Shawarma with Tabbouleh Rice (Php140) - generous serving of grilled chicken in a bed of herbed rice with (garlic?) sour cream sauce. Grilled Chicken Dry Noodle Bowl (Php130) - a mix of flavorful, herb garden salads, grilled chicken and noodles with Asian vinaigrette. 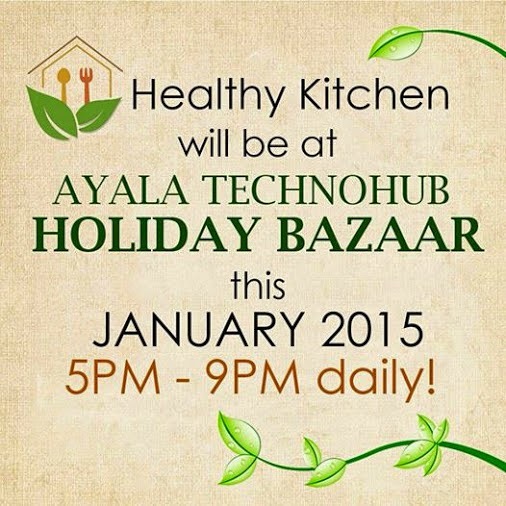 If anyone is interested, you can check out Healthy Kitchen at Ayala Technohub this whole month of January. After my first taste of their healthy offerings, I'm definitely inclined to try the rest of their menu. 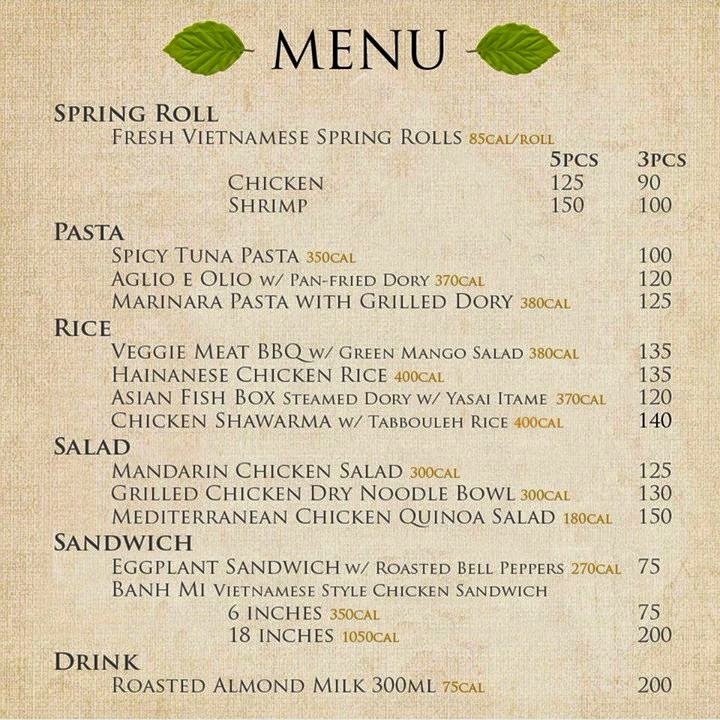 My favorites so far would be the fresh Vietnamese rolls and the chicken shawarma. 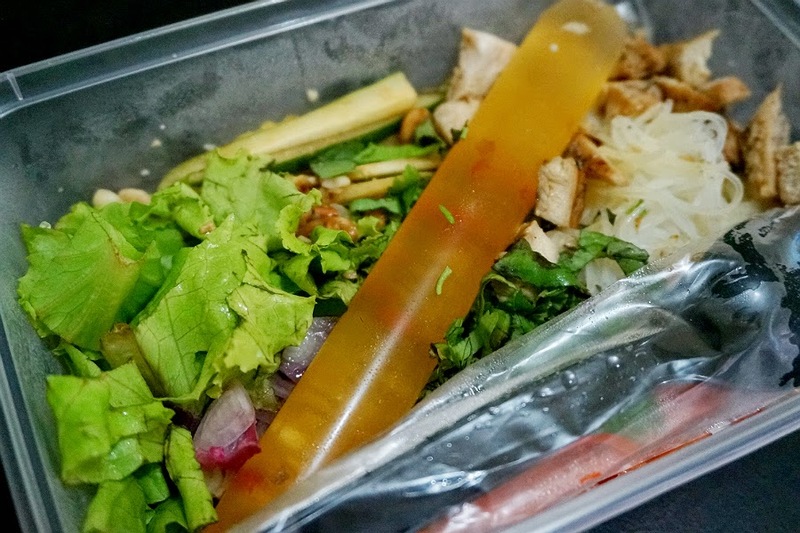 I was not particularly fond of the noodle bowl because it had some greens (oregano?) 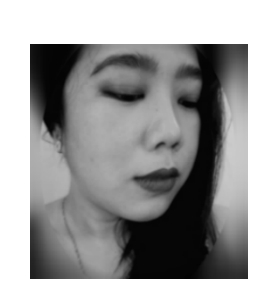 that I found too overpowering. Overall, it was a great experience being able to eat a balanced and satisfying meal. I would be trying out their pastas in my next visit.